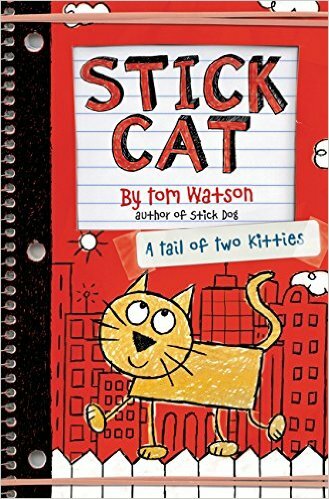 Stick Cat lives in a 23rd floor apartment, next door to his best friend, chubby, ditzy, Edith. Stick Cat and Edith have scratched a hole in the bathroom wall, and every day Edith squeezes through to enjoy time with her best friend. They especially love listening to music played by the piano tuner in the building across the street. One day, there is an accident, and the piano tuner's arms get stuck inside a grand piano. It's up to Stick Cat and Edith to rescue their friend. 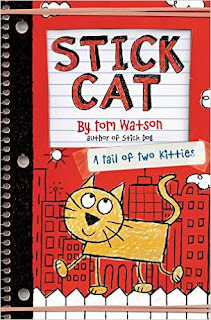 Lovers of STICK DOG, or CAPTAIN UNDERPANTS, or DIARY OF A WIMPY KID, are definitely going to love Tom Watson's newest creation, STICK CAT. Rabbit, Porcupine and Moose are friends. Rabbit is good at being boss, Porcupine is good at having fun, and Moose is just a big, bumbling, kind of a guy. On Rabbit's birthday, she invites her two friends to her house for a party. The friends jump on the trampoline, and play pin the tail on the chipmunk, then it's time for cake. The cake, however, seems to have gone missing. And Moose is covered in frosting in cake crumbs! Uh-oh! 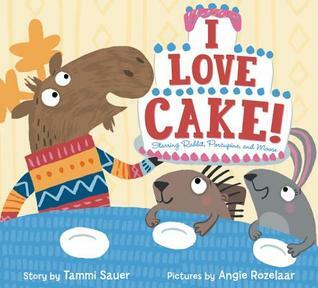 A silly, joyful friend book the little guys are definitely going to love! Earlier this week, on Field Day. EK is on the left. I'm not writing much right now, but the first graders at my school sure are! They are doing a poetry unit, and every time I walk through their classroom, I get to hear a little poetry. Today I'm featuring the work of EK, one of our seven year old poets. Please notice the influence of Langston Hughes' "April Rain Song" in the last line of each of her poems. Their petals are like a velvet pillow. 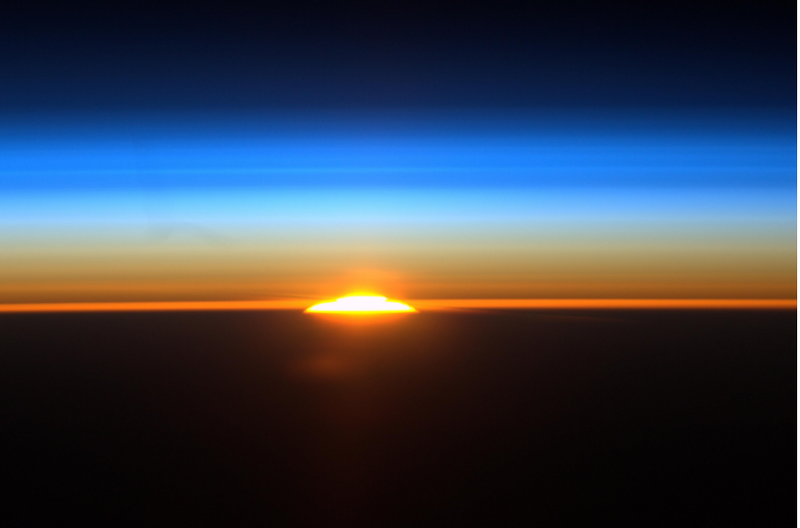 And the sun has a bright juicy smile. Annabel (Annie) has just finished seventh grader. Her parents are both college professors, her mom is a helicopter parent who schedules every minute of every day. This summer, though, is going to be different. Annie has just finished a horrible seventh grade year, complete with fake friends and panic attacks, and has been promised a schedule free, demand free summer by her parents. On her first day at their summer home, Annie meets California. California is staying with her grandfather, who is ill, on his farm. Years earlier, when she was a teenager, California's mother had a falling out with her father and left the farm. California is convinced that if she can just find her mother's prize show ponies, who she believes are roaming somewhere on her grandfather's farm, her mother will return to the farm and resolve the relationship with her father. Annie agrees to help California with her search, and the two embark on an epic summer of adventure and friendship. 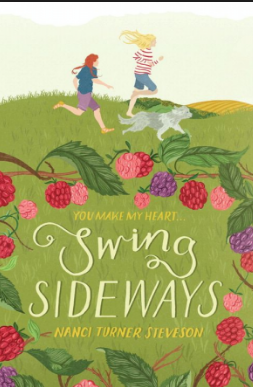 When he summer takes an unexpected twist, Annie is forced to learn new and unexpected lessons. People are comparing this book to BRIDGE TO TERABITHIA and WALK TWO MOONS. Definitely worth adding to a shelf of books about friendship or loss. I love, love, love my work. Have loved it for a long, long time. Absolutely know that there is nothing I would rather do. And yet, at times (like right now), I wonder about the sanity of myprofession. When yet another piece of paperwork comes across my desk. When the district website, where I am supposed to enter data that is due on Monday, goes down for the umpteenth time in the last two weeks. When we have to give up another day of instruction to give yet another assessment that tells us something we already know. This poem, from Parker J. Palmer's website, spoke to me this morning about my place in the universe. Violet Nesdoly is hosting Poetry Friday this week.